The Giant Gummy Cola Bottle!™ will quench your thirst for scrumptious gummy goodness! 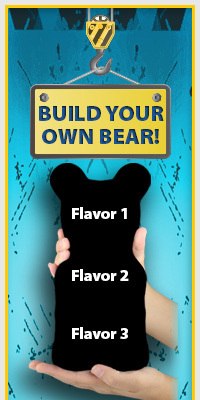 The ORIGINAL Giant Gummy Soda Bottle!™ is the only Giant gummy Product that comes in Root Beer and Vanilla Cola flavors. Each bottle is 7 ¾” x 2 ¾” and approximately ¾ pounds.